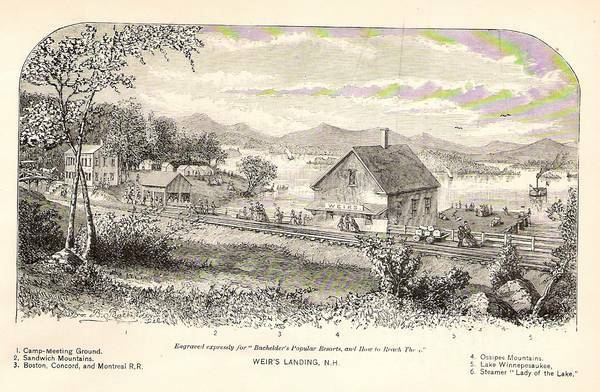 Note the campground and the very first railroad station built circa. 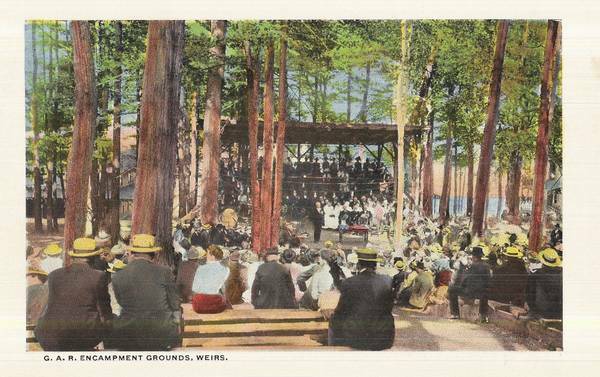 1848.
and to the Methodists who held yearly campmeetings. would encourage people to use the rails. 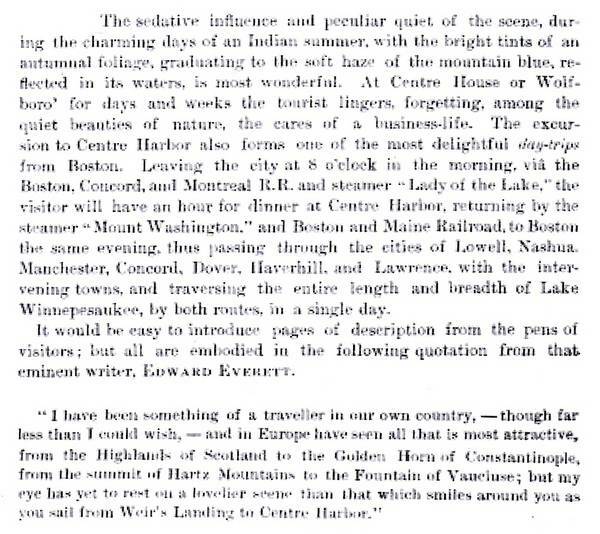 book, "Weirs Souvenir" published in 1897.
about the turn of the century. 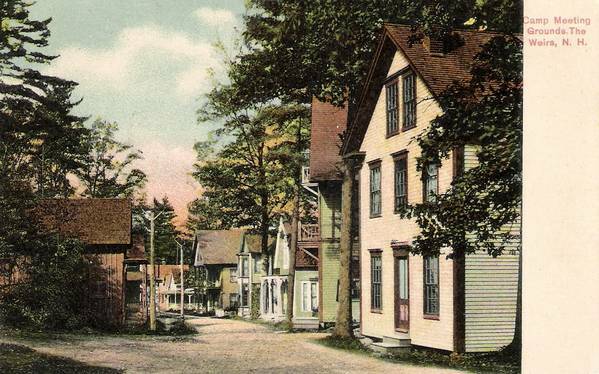 Postcards would predominantly be from the 1900-1915 vintage. 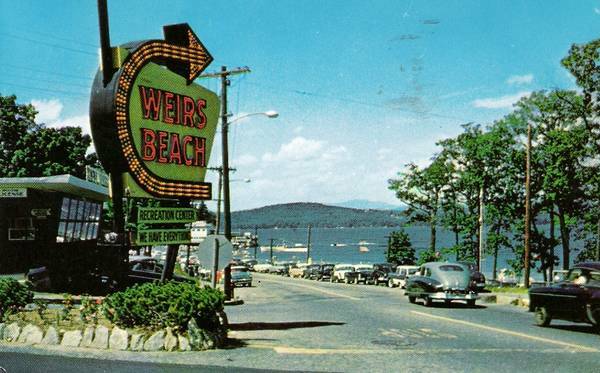 by the Weirs Chamber of Commerce in 1948. 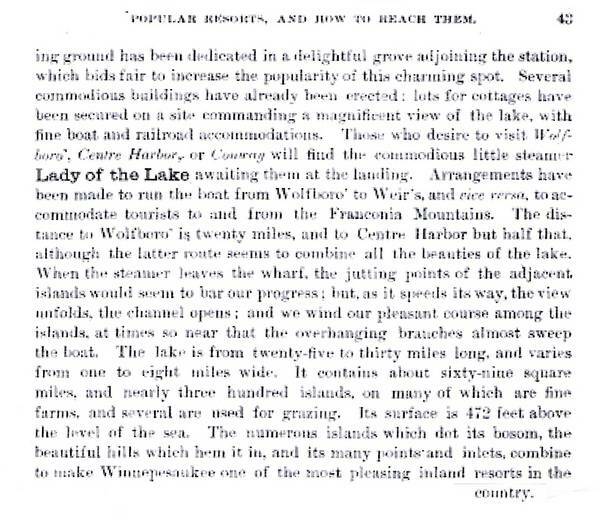 1880s with text from Bachelder's "Popular Resorts and How to Reach Them"
White Mountains until later on. 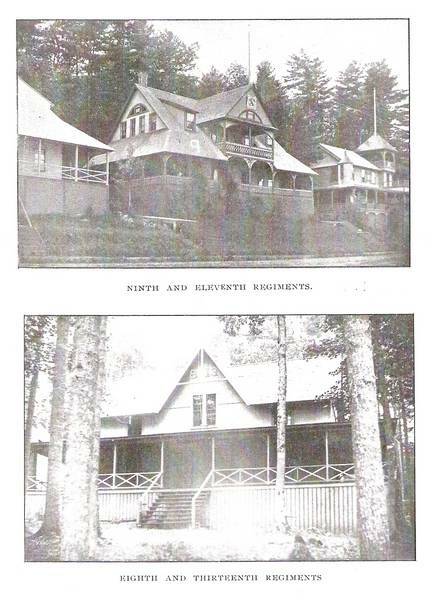 1886 - Trinity Methodist Church is built on Tower Ave.
1887 - Lakeside House opens. 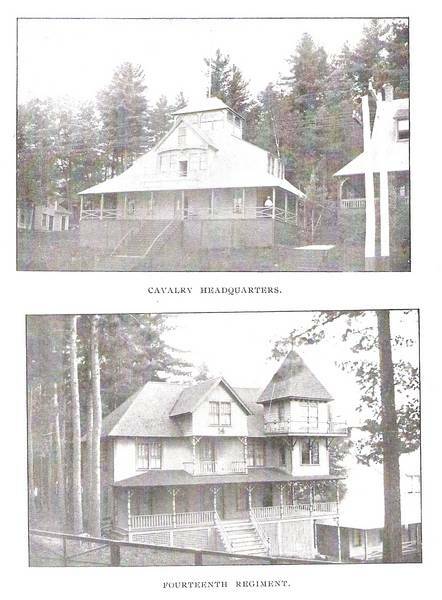 Additons in 1890 and 1899. 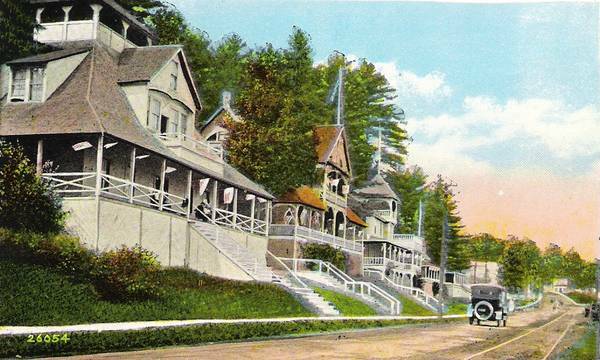 1880s - 1890s - Tremendous growth of resort industry. 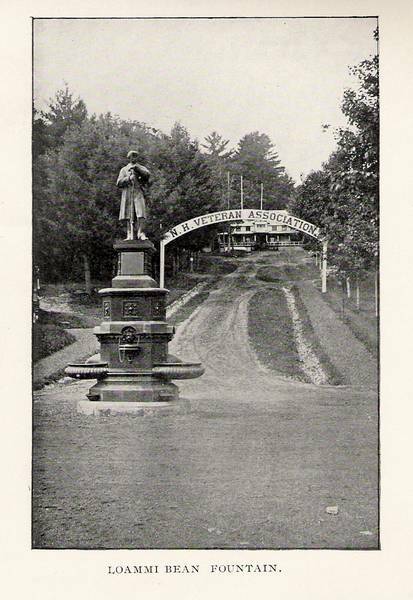 1894 - Memorial Statue and Fountain Installed. Hit by lightning in 1931. 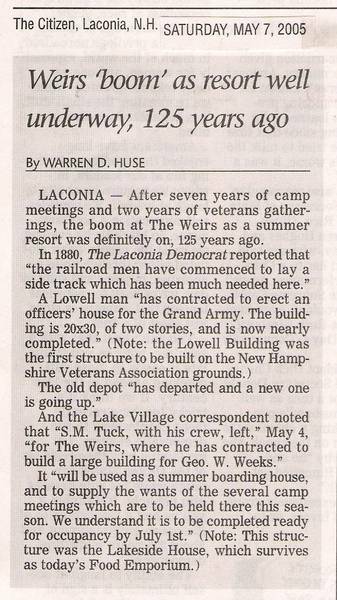 1899 - Laconia Street Railway extends to the Weirs. 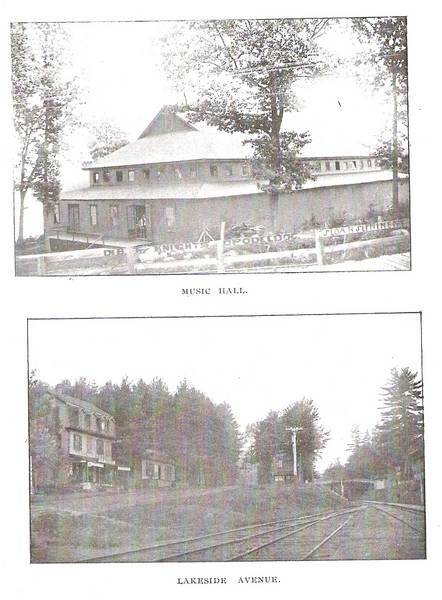 1903 - New Music Hall Dedicated. 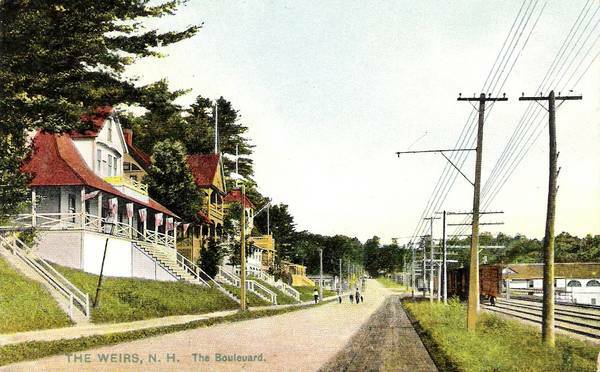 1924 - Hotel Weirs, Music Hall and several regimental buildings burn. 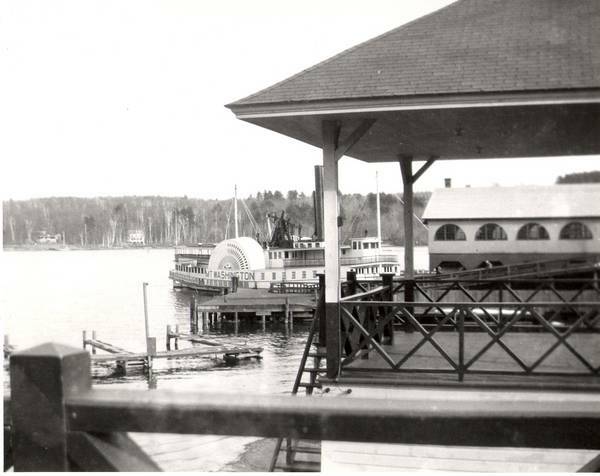 1925 - Irwin's Winnipesaukee Gardens Opens. 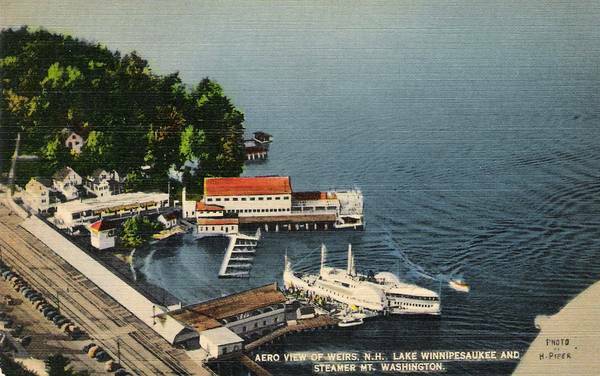 1939 - Mount Washington and Railroad Station Burn. 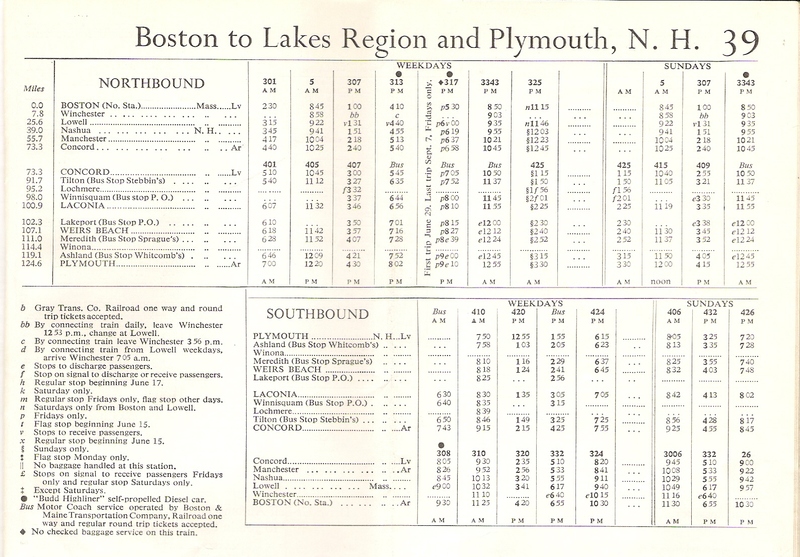 1960 - Passenger Rail Service from Boston ends. Last edited by mcdude; 05-09-2005 at 04:53 PM. 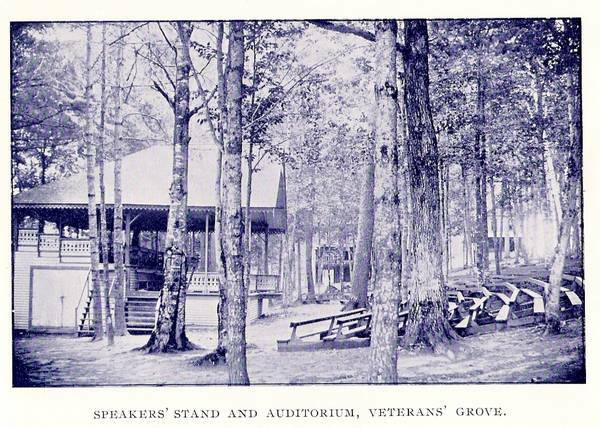 About a decade or so after the Civil War the veterans began to have yearly reunions on land leased from the railroad. 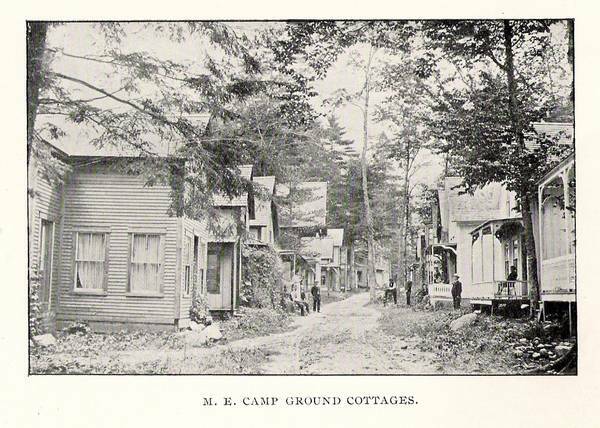 They began with tents but soon each of some twenty New Hampshire regiments built their own headquarter building. 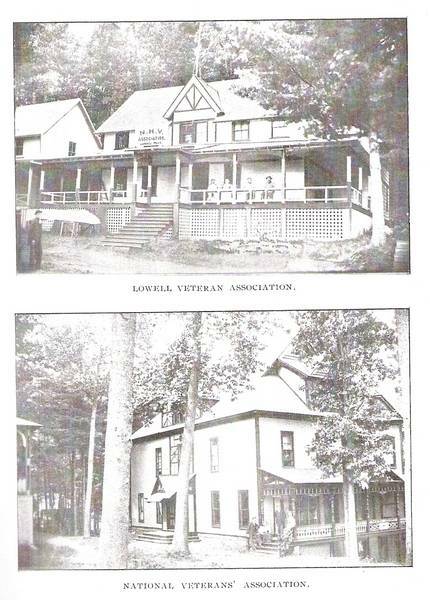 The National Association and the Lowell veterans and others also built cottages. Great crowds were attracted! 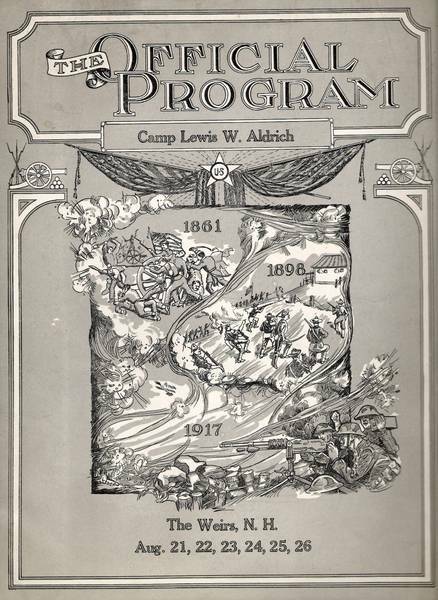 Programme for the 1920 Encampment - CLICK HERE to SUPER-SIZE this programme for ease in reading. 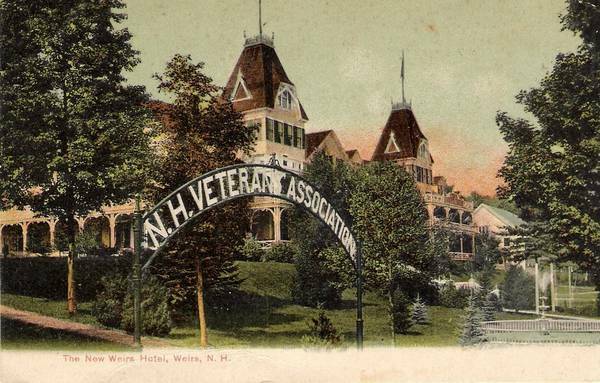 In 1879, fourteen years after the Civil War, the New Hampshire Veterans Association held their first annual reunion at Weirs Beach. 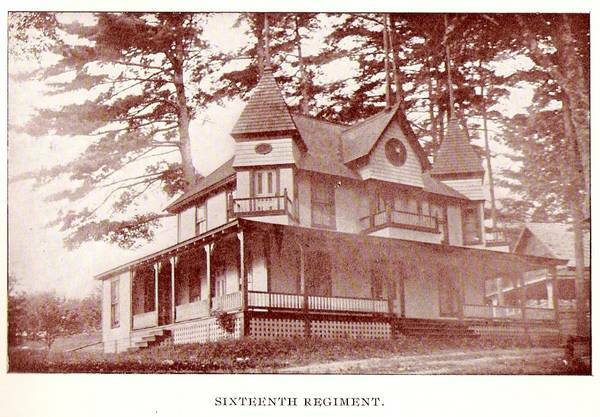 Purchasing a large tract of land on Lakeside Avenue from the railroad, they constructed a series of Victorian buildings, one for each regiment, in the style of the times. Known as the G.A.R. (Grand Army of the Republic) buildings, many of these grand old buildings are still standing today. Among the G.A.R. 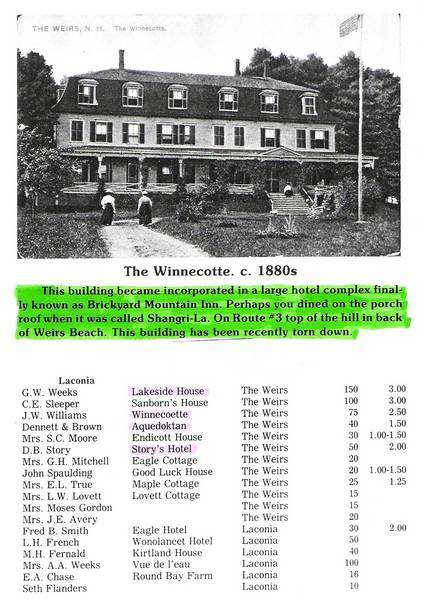 buildings, was the 150 room New Weirs Hotel. 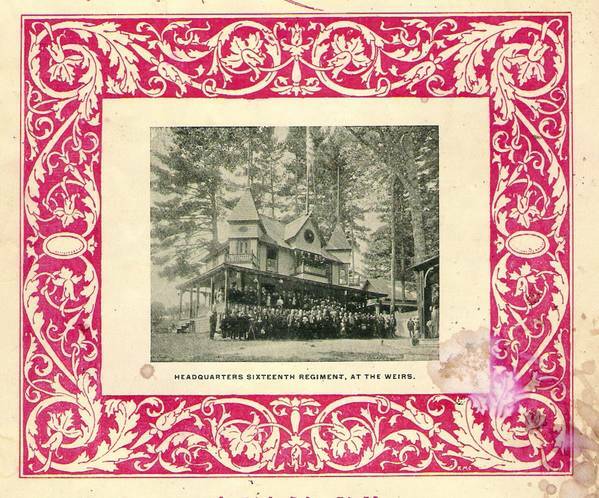 Constructed in 1880, it was a magnificent hotel. 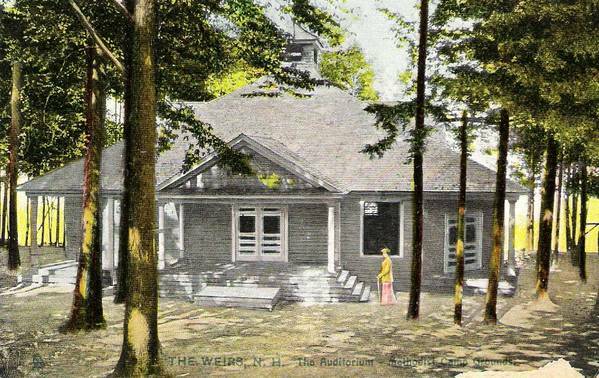 Just across from the street from the New Hotel Weirs was the Weirs Music Hall. 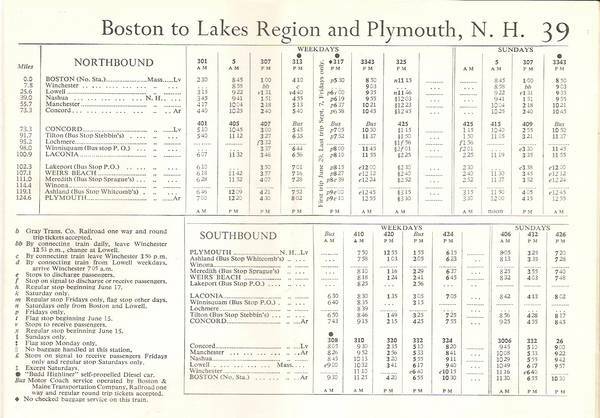 Every day, express trains from Boston's Union Station and the Lowell area shuttled well-off guests from big cities along the East Coast to the Weirs Station which was also right in front of the hotel. 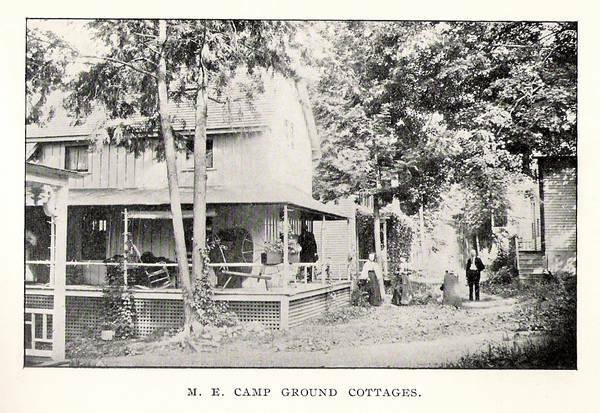 In 1904, President Theodore Roosevelt stayed here for a short time. The Hotel and Music Hall tragically burned to the ground on November 7th, 1924 and was never rebuilt. 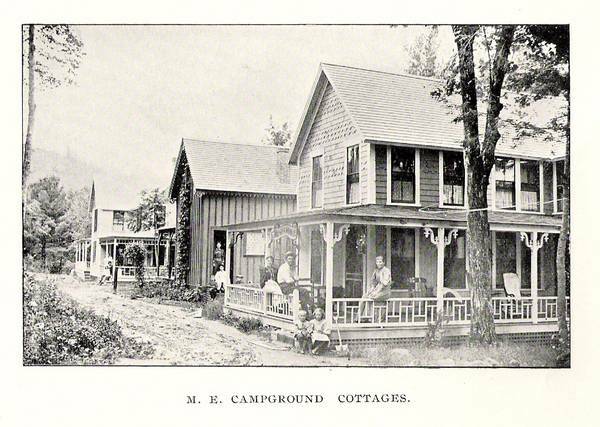 In the late 1930's, Howard Ballou constructed the Half Moon Cabins on the site of the former hotel. The Methodist Church now stands on the site of the Music Hall. 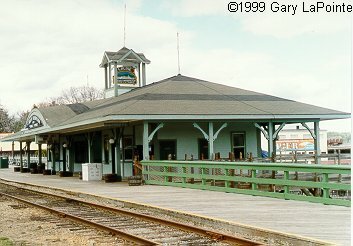 Ironically, the Train Station was not damaged in this fire, but later burned in 1939. It was rebuilt that same year. came to NH to mend some political fences, and to do a little fishing. Crowds were estimated to be between 20,000 to 40,000. Last edited by mcdude; 07-26-2005 at 08:04 AM. 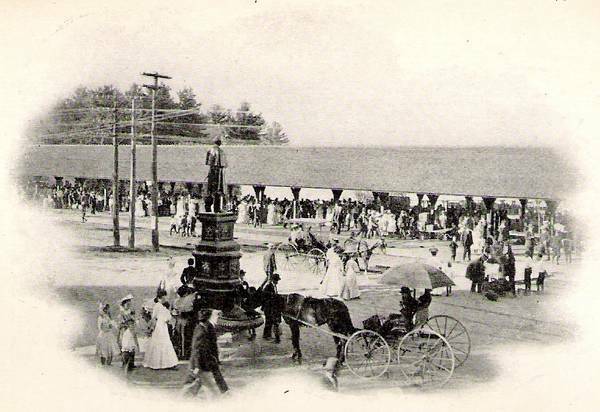 Note the horse drinking from the fountain. Laommi Bean was with the 8th NH Regiment and was killed at the Battle of Georgia Landing in Louisiana in 1862. 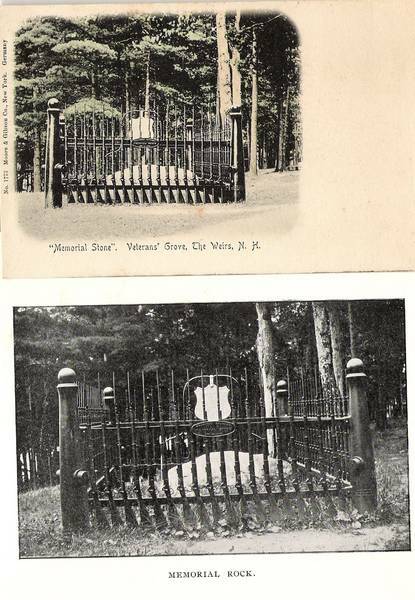 His daughter erected this monument in tribute to "All the gallant soldiers....so that the Union might be preserved." 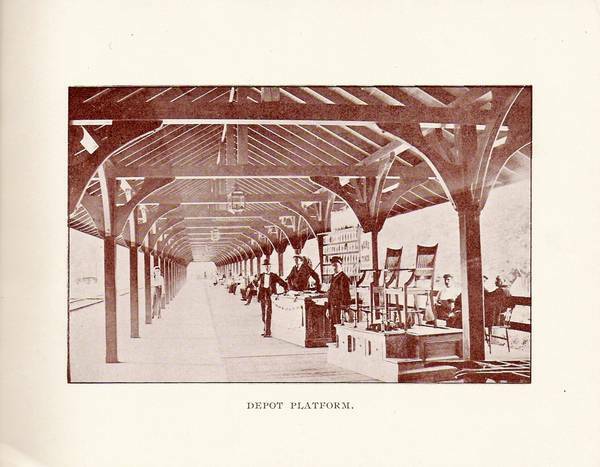 It was dedicated in 1894. CLICK HERE TO SUPER-SIZE and see the muskets. 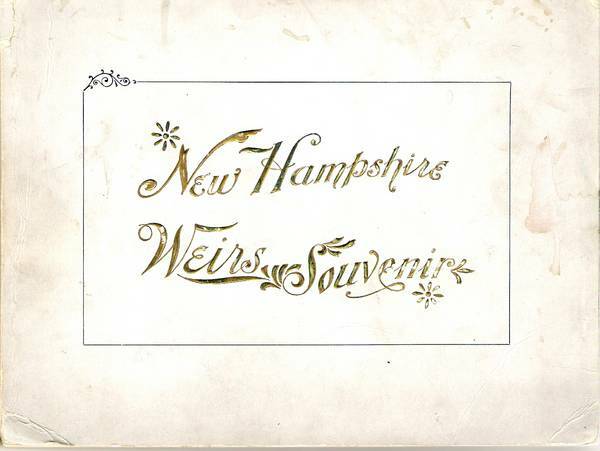 The boulder was inscribed in 1882 to the NH Volunteer Regiments. 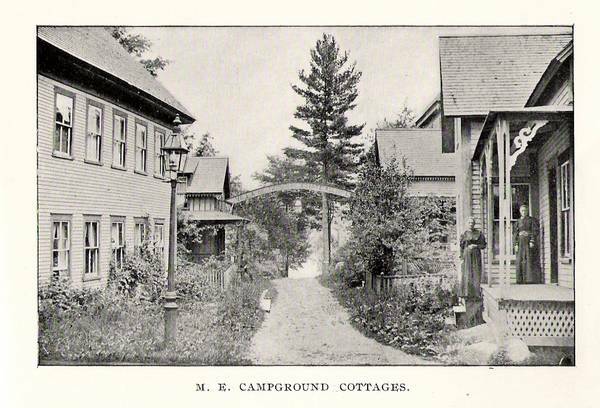 It was surrounded in 1883 by a fence with pickets of cast iron muskets. Cornerposts are vertical cannons topped with cannonballs! Last edited by mcdude; 05-09-2005 at 06:10 AM. Entrance to Methodist Circle Today. 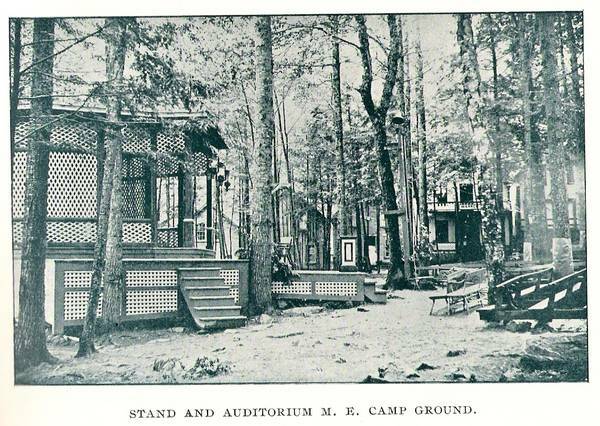 The Campmeetings were so successful that it was decided a church would be built on Tower Avenue. 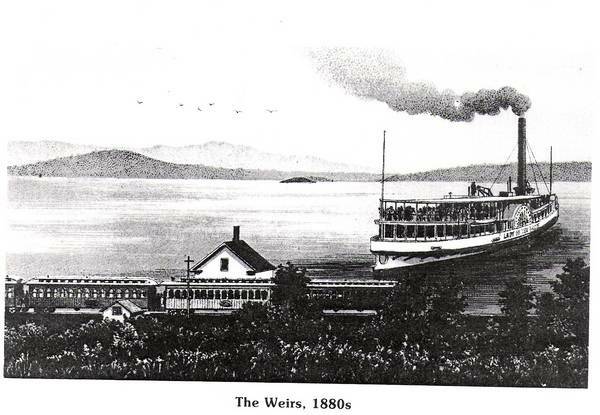 (next to the Music Hall and adjacent to the Weirs Hotel) The first service was held in 1886. It burnt in the great hotel fire in 1924 but was rebuilt in 1926. It still stands today. 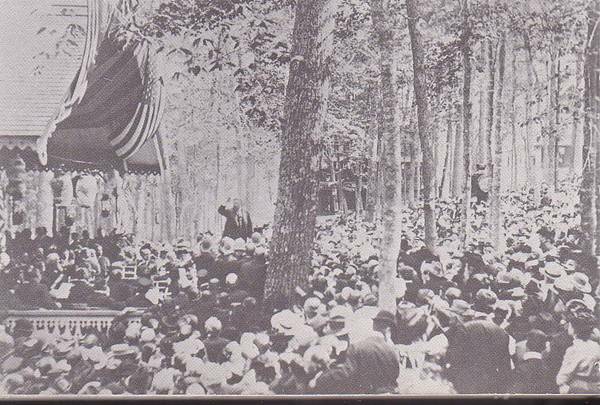 The development of this Camp Meeting was not unlike that of the Alton Bay Adventist Camp Meetings. CLICK HERE for this related thread. 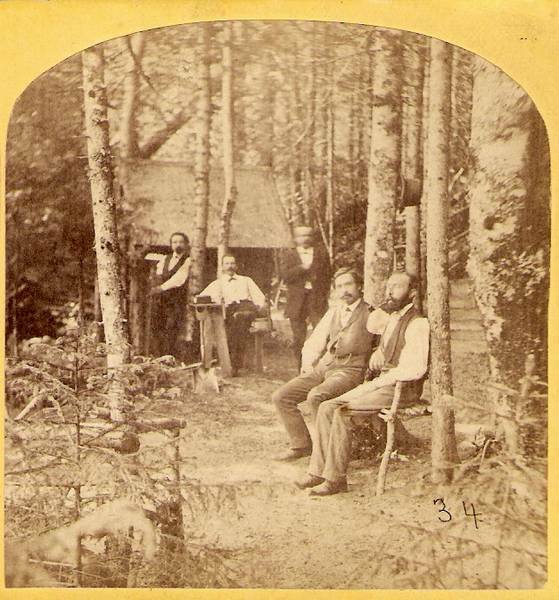 An old stereoview photo of Men at Weirs Campmeeting. 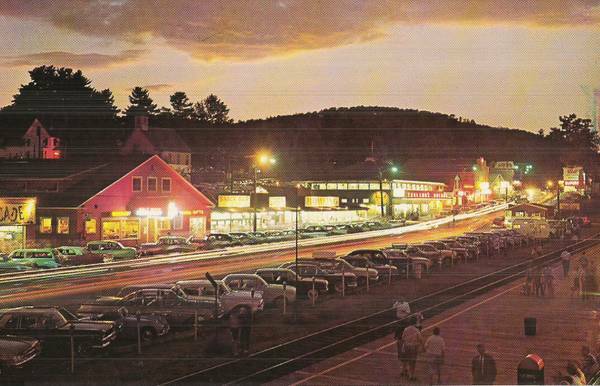 GH Tebbetts, Laconia, NH. Last edited by mcdude; 05-16-2005 at 04:44 PM. In order to keep this thread shorter (for ease in downloading) I've stored the rest of the thread OVER HERE including the "girlie stuff"!!! 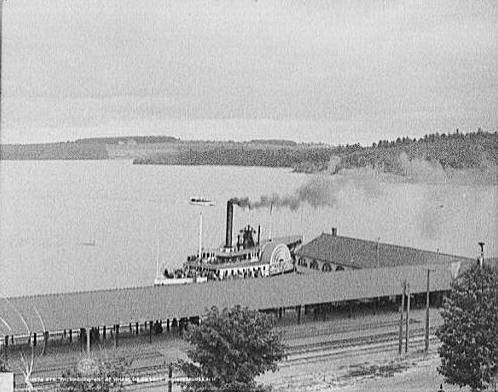 Real Photo of the Old Mount at the Weirs Depot. "It was a different Weirs back then, stately and sedate, served by daily trains from the Boston and Lowell area and catering to well-off guests from big cities along the East Coast. 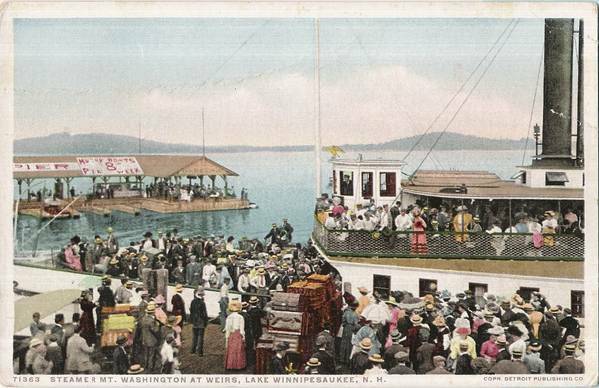 Steamships, the most notable of which was the side-wheeler “Mount Washington”, provided leisurely trips around the lake for a mostly affluent clientele that gathered at the Weirs every summer." 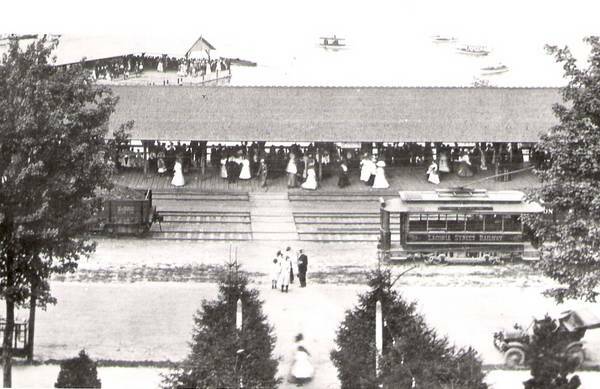 To help people attend the Weirs races, Irwin, along with city officials and other local businessmen, worked closely with the local Boston & Maine railroad executives to finalize plans for advancing their mutual interests. Funds were raised for a series of band concerts that were given every Sunday through Labor Day. Music hours were scheduled from 2-3 and 4-5 in the afternoon. 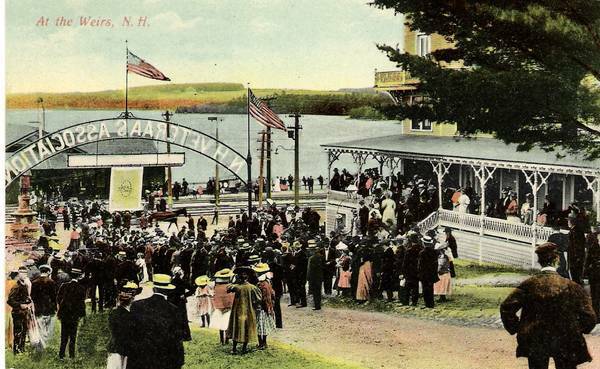 The band that regularly performed was the 387th Infantry Band stationed in Laconia and other plans were put in place to help provide amusements for the expected crowds. 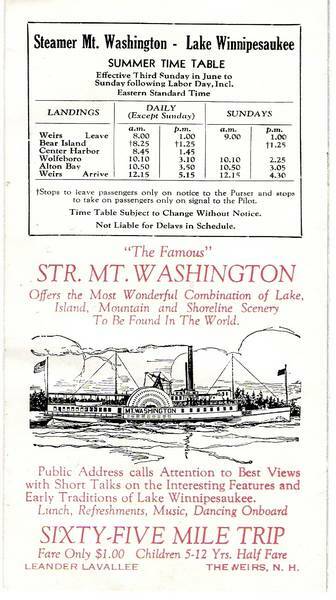 Railroad officials scheduled special excursion trains that left Boston at 8 o’clock and ended up at the Weirs at 11:20. 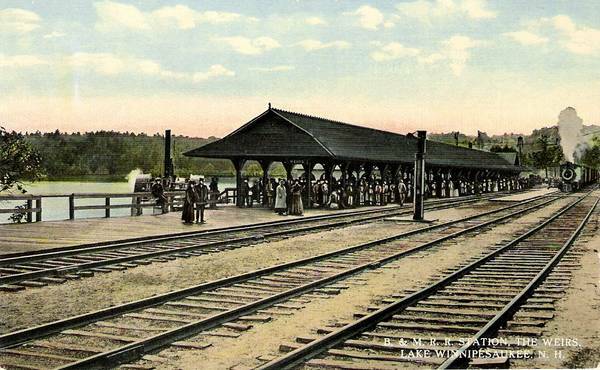 The trains came to the Weirs not only from Boston, but also Lynn and Lowell, as well as southern NH. Local hotels scheduled special meals to coincide with the arrival of all excursionists. 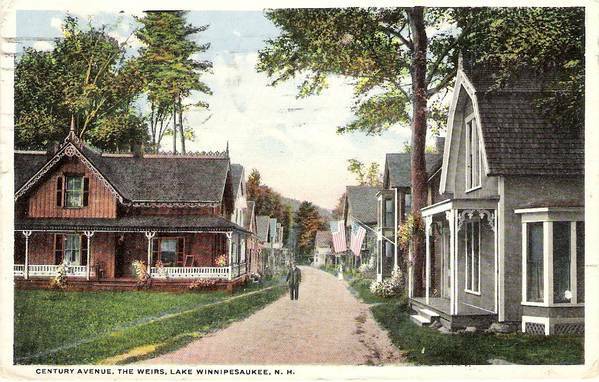 which extended to the Weirs in 1899. CLICK HERE for a photo of the Weirs Station today. 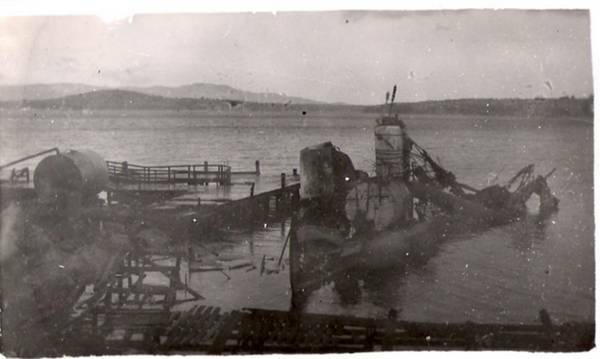 The aftermath of the 1939 fire. 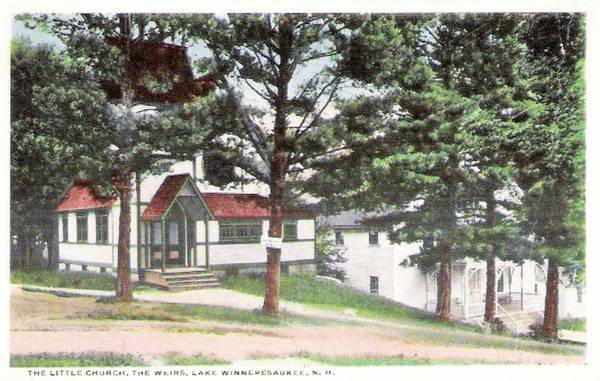 The Music Hall was founded by the New Hampshire Music Teachers Association for the purpose of holding summer camps, recitals and concerts. 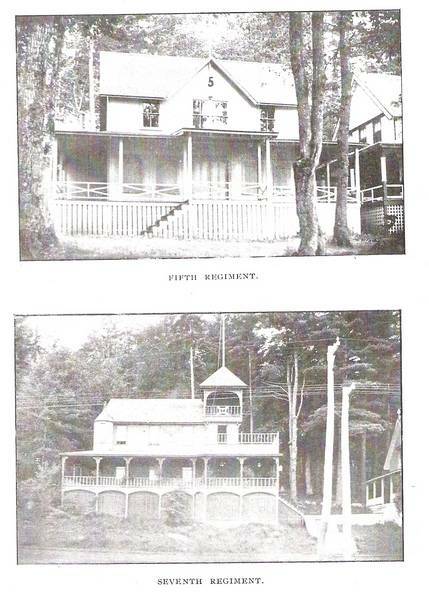 The original building sat at approximately the same site as the present day bath house at Endicott Park / Weirs Beach. 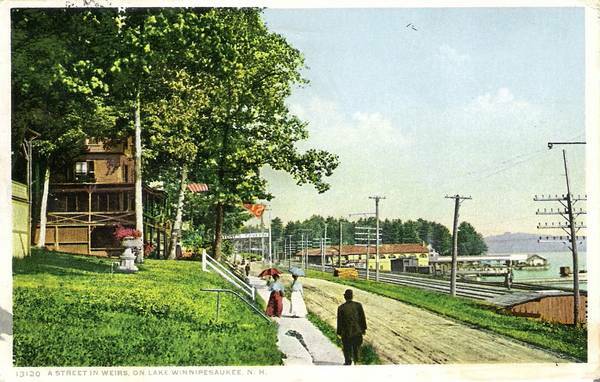 The facility was actually a roller skating rink that was dismantled and brought up to the Weirs from Concord, NH. the building reverted to its' original use when not in use by the music students. The building was ruined when heavy snow caused the roof to collapse in ????. 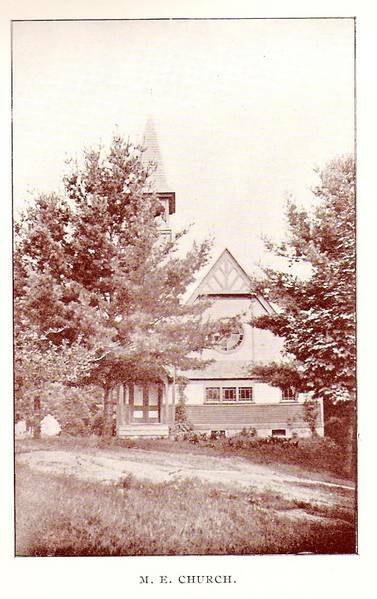 A new facility was built shortly thereafter on Tower Avenue next to the Methodist Church. the great fire of 1924 started in the Music Hall. Last edited by mcdude; 05-09-2005 at 06:13 AM. Yet another wonderful thread, McDude. 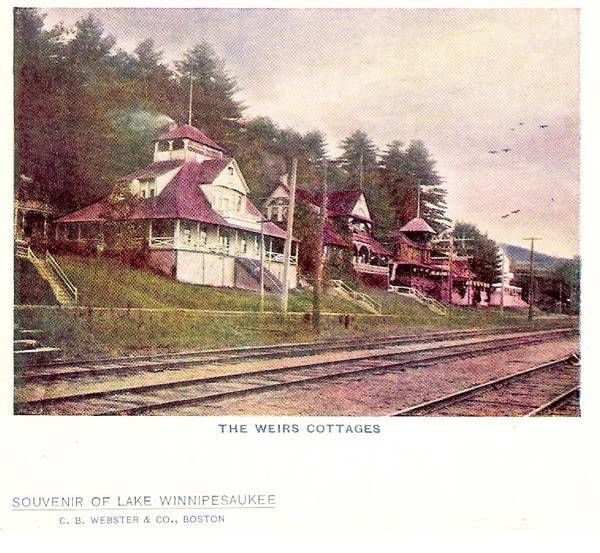 Before all the historical posts and pictures started, I guess most of us took the area for granted, and didn't think about the rich history of the lakes region, especially the Weirs. 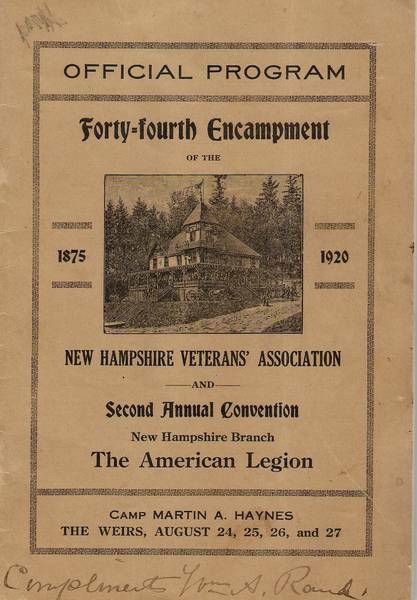 I have seen the NH Veterens housing and areas, and knew about the regimental buildings, but somehow they got lost in the arcades, shops, and food places. I remember over the years my parents talked about Irwin's Gardens, and how there were Big Bands that came to entertain. The place would be packed, and they would spend the entire night on the dance floor, jitterbugging, doing the foxtrot, waltzing, doing the two step, polka, etc..
Now for the really exciting thing...The Five bathing beauties... I need a little help. I think we have I.G., R.G., Island Sib, and Pepper... but who is the fifth one??? Are you going to number them like forum fest fotos (just a touch of alliteration) ??? For telephone modem users with old computers (like me), this thread takes a long time to load. If you want to view it later, "minimize (-)" this page , and "left-click" open a new window to continue "surfing the Net". It's been 20 minutes, and there are still more photos to go. From what I've seen so far, mcdude is turning this into a "girlie site!" 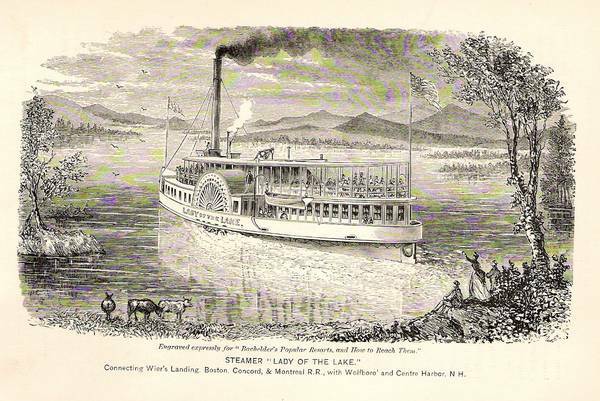 2) The "Lady of the Lake" steamer appears immense in the Weirs-1880 image. 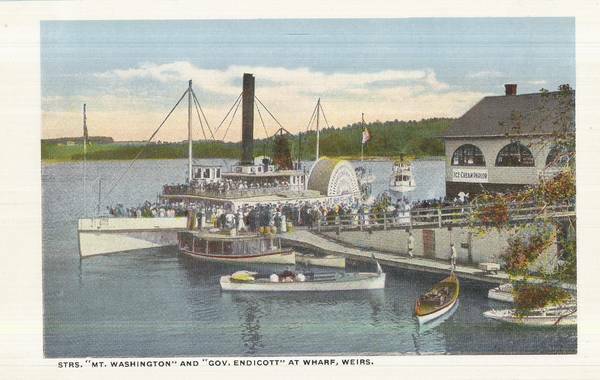 But in the "Weirs Landing" image, a steamer appears puny. "PhotoShop1880"? 3) What make and model of floatplane is pictured -- with that huge radial engine and prop. (With "The Mount" in the background, it shan't be a Cessna 190 -- but it looks close). BTW: "G.A.R." stands for "Grand Army of the Republic". I'm impressed by the way those Veterans were organized and treated. Holy Moly! Those muskets look REAL! (But they don't appear Civil War-contemporary -- they look like Springfield model 1884). 'Bet they're not there today. Last edited by ApS; 04-10-2005 at 07:40 AM. Reason: Enlarged "musket" photo, noted real muskets/rifles. Thanks for that feedback you guys. There are still many, many photos to upload and organize. I will be sure not to 'overpopulate' this thread and will continue with part 2 and 3 in a new thread for ease in uploading. 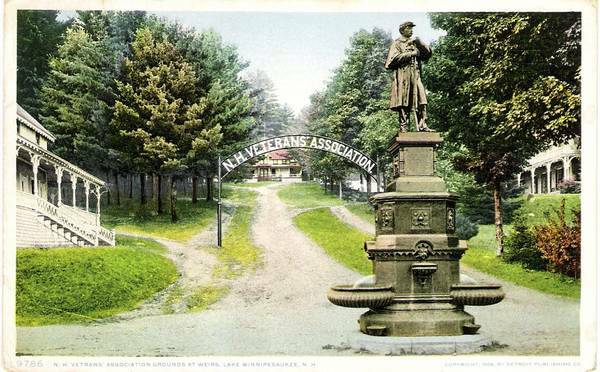 PS - Word has it that the "Loammi Bean Fountain" / Veteran's Statue was erected in 1894 but struck by lightning in 1931 and ruined....More on that to come! Last edited by mcdude; 04-10-2005 at 07:28 AM. 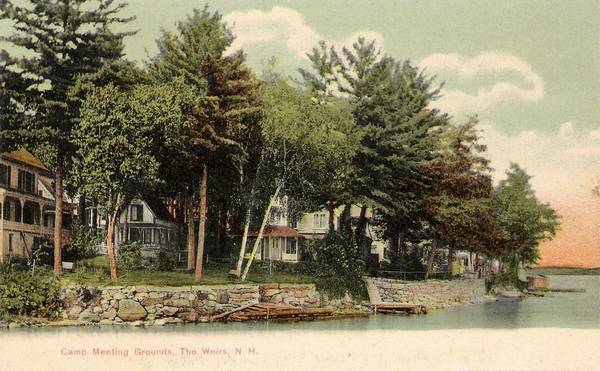 The Weirs has been a special place for Betty and I since we were small children, when talking our respective parents into bringing us over there was one of the high point of our yearly vacations! It continued to be special to us after we began dating in out late teens (we usually managed to drive up for a visit together at least a few times a season); to this day going over for some "Wiers Beach Pizza" and eating an ice cream cone while strolling the boardwalk is still high on our list of favorite ways to spend an evening. Thanks a million for this great thread. I look forward to seeing the rest of it! Excellent job as usual McDude! Looking forward to more about The Weirs. 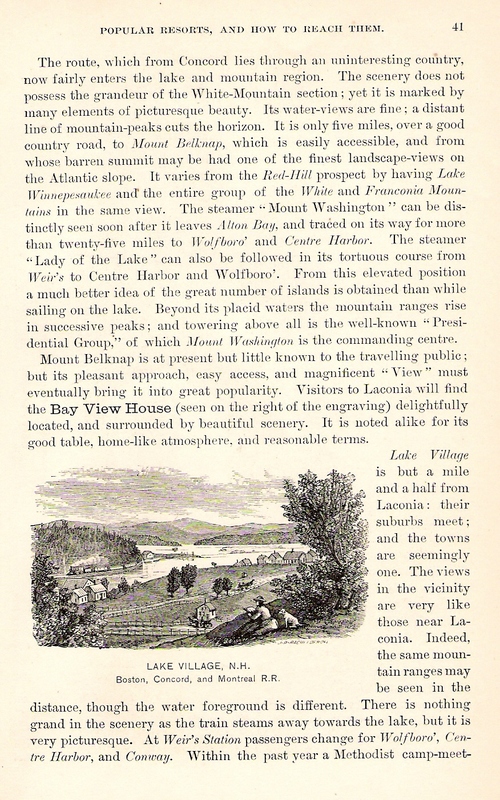 You really know how to bring the lakes history to life. Thanks for taking the time to give us such a treat. The musket fence is amazing and too bad the fountain was destroyed. snip} Now for the really exciting thing...The Five bathing beauties... I need a little help. I think we have I.G., R.G., Island Sib, and Pepper... but who is the fifth one??? Are you going to number them like forum fest fotos (just a touch of alliteration) ??? I'm not 100% sure but could it be Costal Laker ? ... or Cabin Fever ? I do believe the one in green is Outlaw Now perhaps for the next Forum Fest we could have a contest ... hmmm. On second thought forget it. Just imagined who might show up in a Winni.com thong. Thank you for this very nice series of threads about the weirs and surrounding area with all the pictures. Here is one more. Again very nice of you to go thru all the work to do this. Great thread! 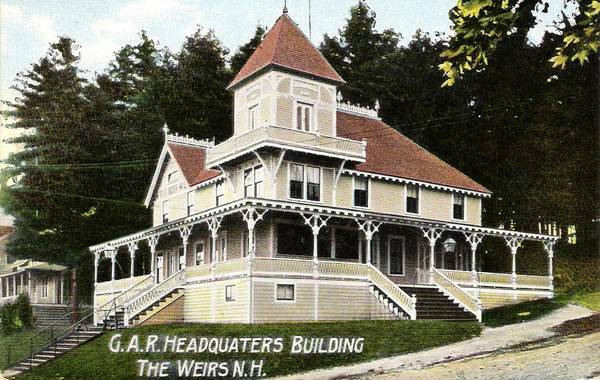 My extended family has been coming to the Weirs for a week-long stay at the Cavalry building since the early 1900's. 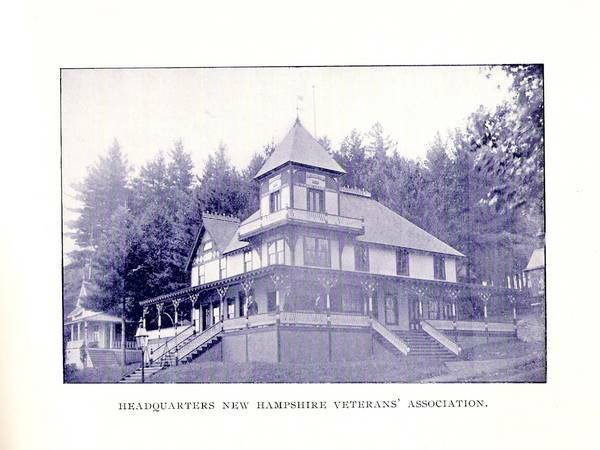 Our organization, the First NH Cavalry Vets Assoc has been in existence for 140 years or more. 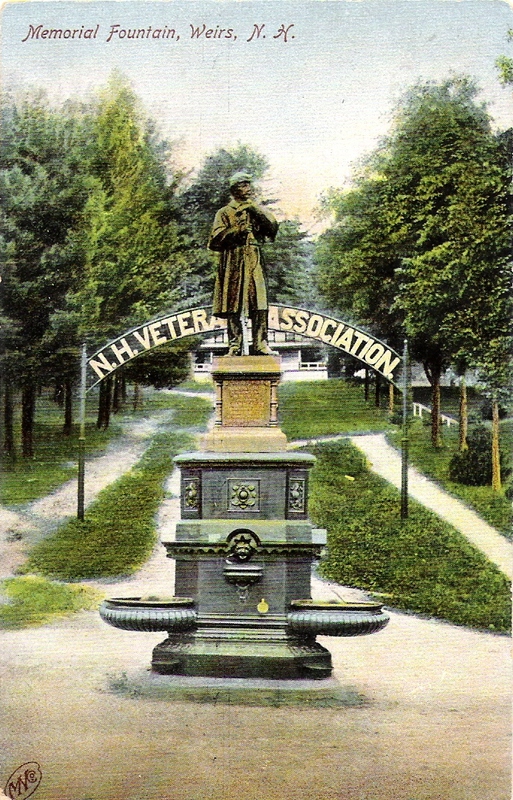 The Cavalry vets were the only group to extend their membership to their descendants; therefore we are the only Civil War-related group still in existence at the Weirs NHVA campground. 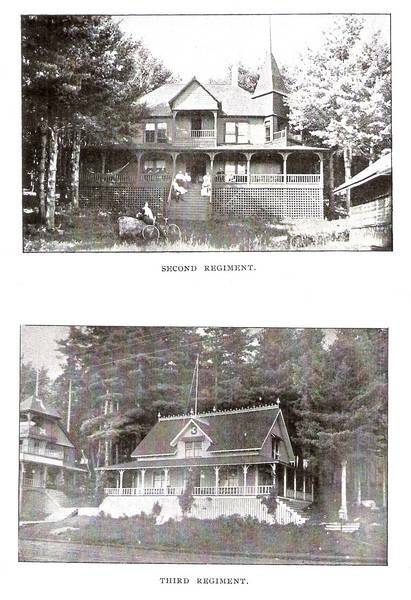 During the week when we have the right to stay in the Cavalry building, the extended family, all descendants of Leavitt Safford of Chesterfield and then Keene, NH, rent many of the other buildings as well. As you can imagine, we have many historical pictures in our scrapbook that have collected over the years and will try to post some here as we can. Lake Winni - The only place I want to be during the summer.